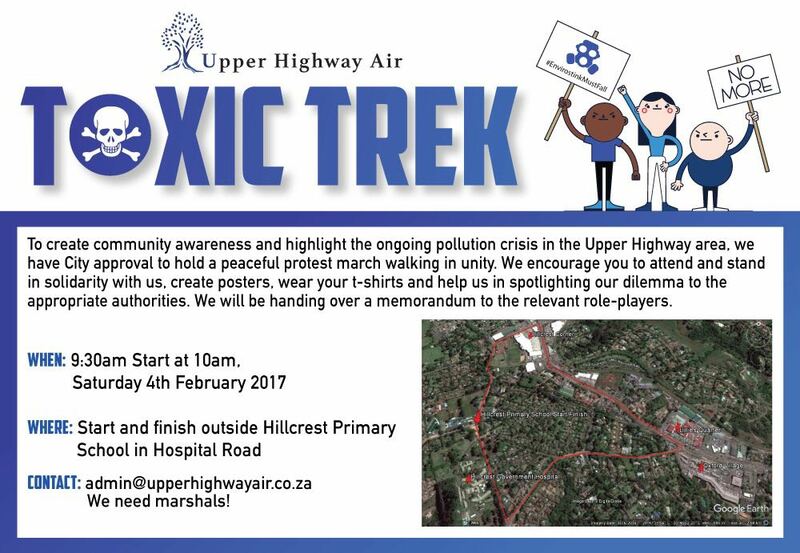 To create community awareness and highlight the ongoing pollution crisis in the Upper Highway area, we have City approval for 1,000 participants, to hold a peaceful protest march walking in unity. We encourage you to attend and stand in solidarity with us, create posters, wear your t-shirts and help us in spotlighting our dilemma to the appropriate authorities. We will be handing over a memorandum to the relevant role-players. 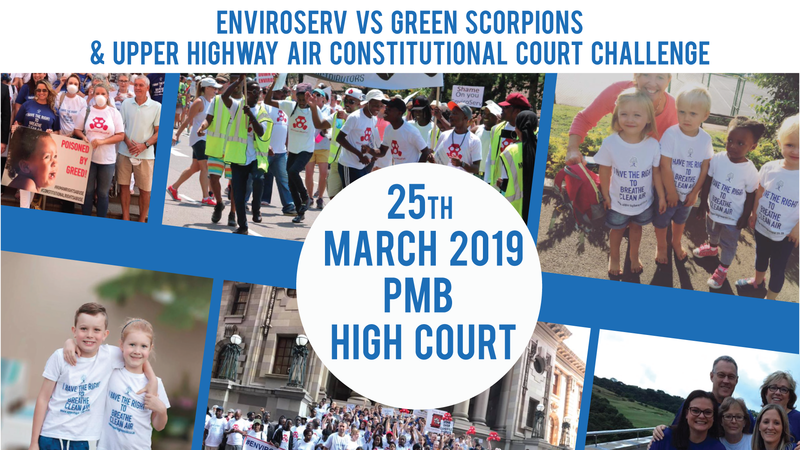 Please note that Upper Highway Air will not be held liable for any losses incurred and parents/guardians are responsible for supervising children and that all participants participate at their own risk. – Any marchers who get into difficulties contact the nearest marshal for help. – Only people with wrist bands may march. We will only be letting 1,000 people march and will be strict regarding the numbers. Only people who have registered either online or via the sms line will be allowed to walk. – Once the memorandum has been handed over for people to disperse quickly and orderly. – Try and organise lifts to prevent parking problems. Please note that 2 of our own have put themselves on the line to make this happen and if there are more than 1,000 marchers or trouble of any kind these two people will be arrested. Let’s make this PEACEFUL statement to air our grievances, media will be present.